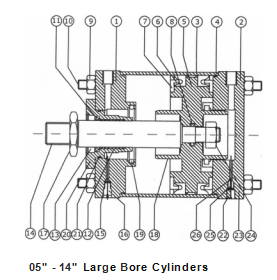 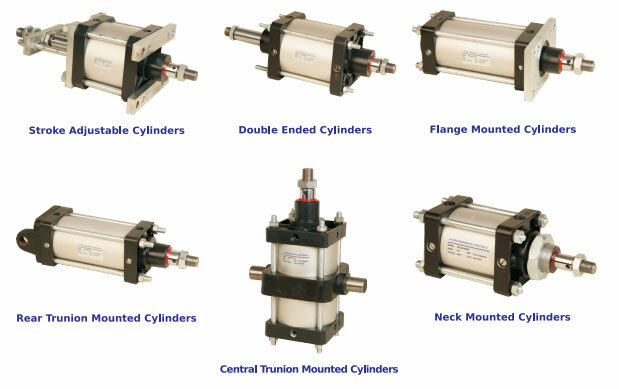 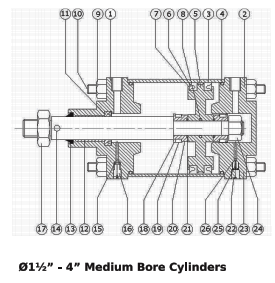 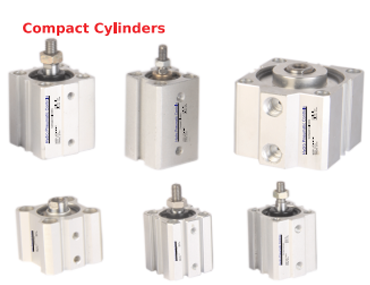 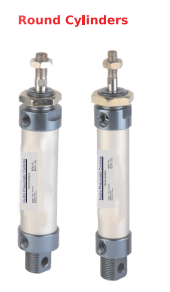 θ 1 ½" -θ 14" Bore Air Cylinders. 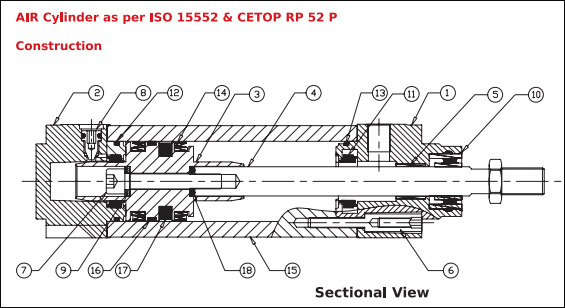 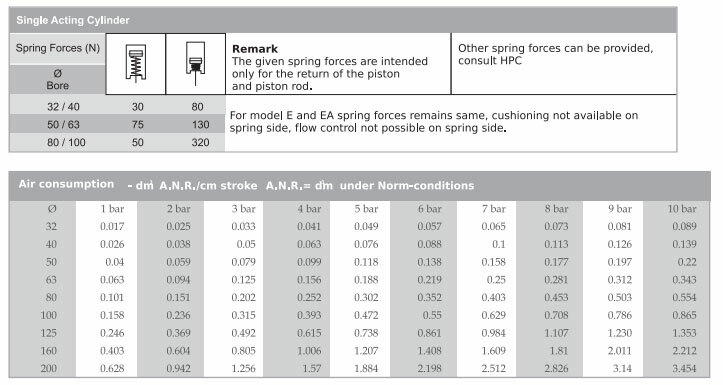 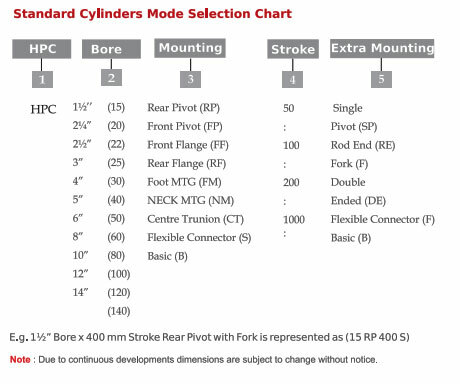 • If it is astablished that the force required is 150kg and working pressure available is 7 bar, above chart will lead you to select 1 ¼" bore cylinder. 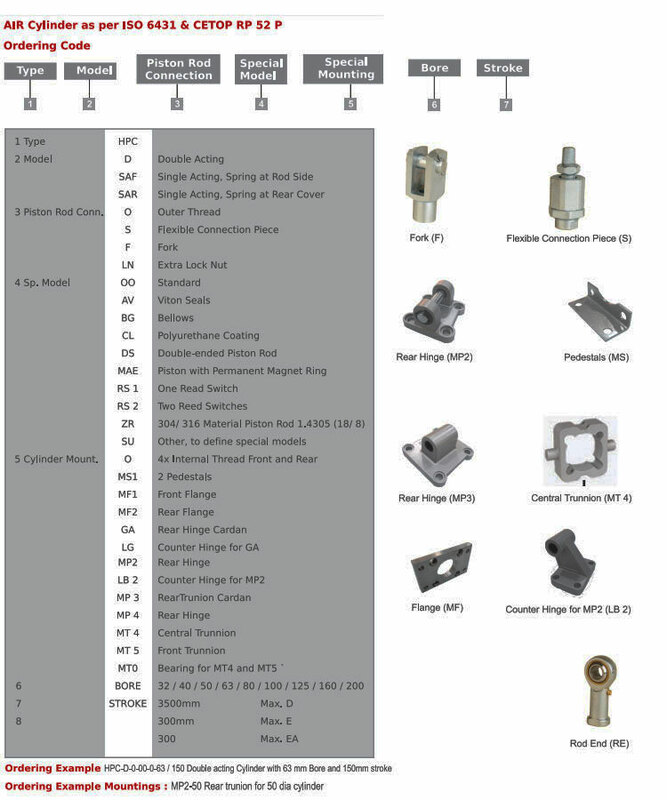 Part Material Part No. 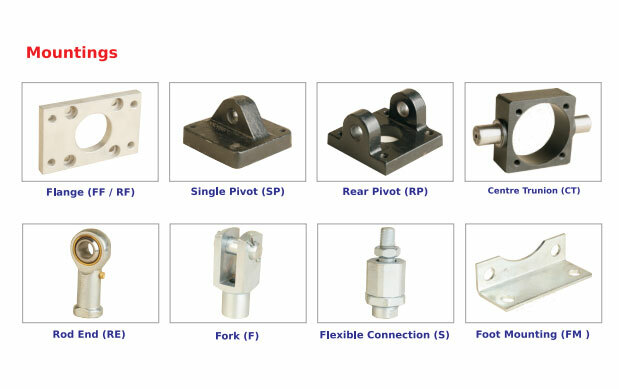 Part Material Part No.